2019 Blueberry Festivals in Florida - Where, When and More to Find a Blueberry Festival Near You! Looking for a blueberry festival in Florida in 2019? (just scroll down the page)There is no other listing as complete and current as this list, just updated! All the blueberry festivals in Florida we can find are listed on this page! If you love strawberries, look for a festival near you below! And I'm always looking for more blueberry festivals! Please write me, if you know of any to add! I update the dates as soon as the festivals publish their information, but you can always click on the links (usually the name of the festival) to see the current information on the festival's own website. I update this list every year, but still click on the links to the festival (the blue, underlined name of the each festival) to confirm this year's dates on the website for each festival They may change or cancel at the last minute. . If they don't have a website, call the phone number provided, but ALWAYS CONFIRM THIS YEAR'S DATES AND TIMES BY EITHER VIEWING THEIR WEBSITE OR CALLING. 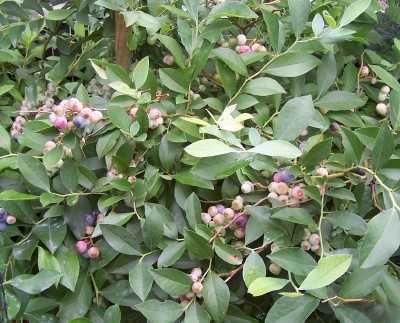 Blueberries typically ripen from April (in Florida and Texas) through June and August in the upper Midwest and New England. June dominates as the month for blueberry production (and festivals) Unlike strawberries, which grow almost anywhere, blueberries are grown commercially in half as many states. Following the festival listings are links to our easy to follow directions about making blueberry jam, freezing blueberries, blueberry pies and much more. Donaldson Park, 109 E. Main Street, Avon Park, FL 33825. Email: [email protected]. The lakeside event features live bluegrass music, blueberry products for sale, BBQ chicken dinners for sale, a Kid's Zone, and original arts and crafts vendors. Bostwick Community Center Bostwick Public Library 125 Tillman Street, Bostwick, FL 32007. Phone: 904-268-3346. Directions: Off US Highway 17, 7 miles north of Palatka. It is held at the Bostwick Community Center in Bostwick, Florida, 125 Tillman Street. And for a map to our farm, click here. Crops are usually available in May. Payment: Blueberry pancake breakfast served from 8 am to noon (5.00), arts and crafts, country store, fresh blueberries, homemade blueberry pies and other blueberry baked goods for sale, plants for sale, library book fair, continuous entertainment, refreshments and snacks. Click here for our Facebook page. Blueberry Festival Activities include Delicious Blueberry Pancake Breakfast served with country sausage, homemade blueberry syrup, coffee, milk, or juice - Saturday, 8 am to noon; ALL DAY: Blueberry Ice Cream, Homemade Blueberry Pies (get there real early), Vendors selling Food, Arts, and Crafts, Blueberry and Tropical Plants, Local Cook Books, Bostwick Library Used-Book Sale, Humane Society Pet Adoptions, Official Blueberry Festival T-shirts, totes, Free Live Entertainment all day, Free Parking and Free Shuttle Service, and of course - fresh-picked Miller Blueberries by the pound! Bronson, Florida 32621. Phone: (352) 486-2354. Email: [email protected]. The fourth annualThere you will find all things blueberry, from fresh blueberries to a wide assortment of other foods made with blueberries. Other delicious foods will also be for sale. The Blueberry Festival will host local growers with fresh berries for sale. Vendors will be on hand selling a wide assortment of crafts and other goods. There will be music and a children's play area. The morning of the festival the 5k Blueberry Stomp will take place with registration starting at 7am and the race starting at 7:30am. The 3.2-mile course will wind through town to finish in the James H Cobb Park. Hernando Park, Brooksville, FL. Phone: (727) 410-0072. This year our Kid Zone will be designed to keep the Kids Busy and send them home wore out. Whether it's the Live Ponies, Climbing Wall, Gator Slide or one of the many other activities, the Kids will be Glad they came. Face painter on site both days. . Plus on April 28th 10 a.m. the Miss and Mr. Brooksville Blueberry Pageant for Agess 0-21. And LIVE MUSIC- SHOPPING-KIDS ZONE-GREAT FOOD AND DRINK . iFormosa Garden's Event Center, 3050 Formosa Garden Blvd., Kissimmee, FL 34747. Phone 352-631-5489. Fax 352-593-5919. . Click here for a link to our Facebook page. You can see a news story about the 2018 cancellation and festival's move here. Alric Pottberg Road, Hudson, FL 34610. Email: [email protected] or [email protected]. Directions: At the Concourse entrance off of SR 52 in Hudson between Hays Rd & the Veterans Expressway (safety town entrance). Featuring lots of Blueberry Goodies, Vendors, Food, Entertainment, a Kids Fun Zone w/ Bounce Houses & Games, etc... Lots of fun for everyone! Click here for a link to our Facebook page. Check their Facebook page for updates. Their website was gone as of late March 2019, and there's next to no details on their Facenbook page They do a positively dreadful job of getting information out online. 6225 Dixie Road, Milton, FL 32570. Phone: 850-623-9320. Fax: 850-623-2877. Email: [email protected]. Annual Blueberry Bash. Are you ready for some family fun? Come on out and join us at the 10th Annual Blueberry Bash! This is one BASH you do not want to miss. Enjoy the day picking fresh Blueberries and listening to live music while shopping local Vendors, Arts & Crafts, and having the kids entertained with Children’s activities. Enjoy seeing the hot cars at the Show & Shine Car Show, or starting your day with the Blueberry Bash 5K Run & Walk. Theirections: North 3 miles from Highway 90 on Dogwood Road (89) to the 89/87 intersection. Take immediate left hand turn around and make U-Turn back to Dixie on right. We are 3 miles south of NAS Whiting Field. The Arc Santa Rosa Annual Blueberry Bash is held in mid to late June on a Saturday, from 8:00 am until 2:00 pm. The "Blueberry Bash" promises to be a fun-filled, family orientated event including local Arts and Crafts vendors, Food, Entertainment and a variety of Children's Activities. We will also have Blueberry fruit, plants and a Blueberry Cookbook available for purchase. Payment: Cash, only. Click here for our Facebook page. Blueberries from late May to early July. Scuppernongs and Muscadines in early August.. The Event is free and open to public. In addition to community and church festivals, some private farms have their own blueberry festivals. See each farm for this year's dates (they often do not announce them until the end of May). They usually have PYO strawberries then, too. Also, scroll down to see the links to recipes, freezing, canning and jam making directions at the bottom of the page. 5210 W. Thonotosassa Road, Plant City, FL 33565. Phone: 813-752-9100. Fax: 813-752-9199. Email: [email protected]. Directions: Click here for a map and directions. Note: this is a business-operated festival, not a community/volunteer run festival. They are charging $5 for parking this year (2011). Comments from a visitor on May 03, 2010: "The winery has a blueberry festival this weekend. They have u-pick blueberries and blueberry wine among other wines. Place for the kids and craft stuff." Comments from a visitor on May 17, 2010: "They have a blueberry festival every year. 2010's festival was on Saturday, May 15th and Sunday, 16th. They open their orchards to U-pick blueberries for the festival ($3/lb for the last 2 years). All info can be found on their website. They sell blueberry wine. " FFor other fruit and vegetable festivals, see this page! Barrineau Park Community Center, 6055 Barrineau Park School Road, Molino, FL 32577. Phone: (850) 475-5230. Fax: (850) 475-5233. Email: [email protected]. The First-Ever Blueberry Jamboree will kick off Touchablue Berry Farm with a 5K Race for the Blueberries and will end that evening with some toe-tapping bluegrass music by local musicians. If you are in search of a fun-filled Saturday in the heart of blueberry production in Escambia County, then you're looking for the Blueberry Jamboree.The festival will feature: family entertainment, music, great food, a wandering blueberry in costume, a Blueberry Spitting Contest, a Blueberry Bake-Off, Cake and Plant Walks, cloggers, smiles and laughter!The Jamboree will also feature local Artisan & Crafter Vendors. 161 E. Tarpon Avenue South Pinellas Ave. & surrounding streets, Tarpon Springs, FL 34689. Phone: (727) 869-9884. Email: [email protected]. Open: May , Friday to Sunday, Noon until 7 pm. Directions: Click here for a map and directions. Payment: Cash, only. Blueberries, parking provide free, musical entertainment, carnival rides, restrooms, petting zoo, events at your location (call for info), FREE admissionFamily Festival held May 7 - 9 in the Antique district of the historical Tarpon Springs. Amongst other Fun things, we'll be having a "Best Dressed Picnic Basket" contest, $50 cash to the First Place winner; a Silent Auction, Children's Theater all day Sunday, and many more things to offer.